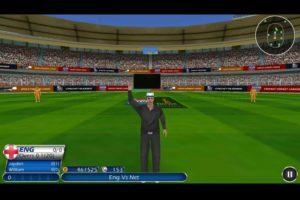 While some people are generally prefer simulation game, there is a huge audience among cricket gaming fans who actually prefer Fantasy Cricket over the simulation cricket games. What is Fantasy Cricket? Well, as the word suggest, a cricket game which works on your fantasy and luck. Fantasy Cricket games are generally management cricket games which are usually connected to the actual live event. 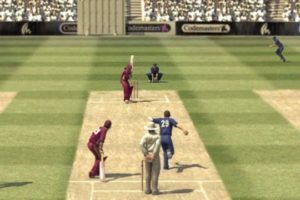 In short, if there is any real live cricket tournament going on, the Fantasy Cricket Gaming sites will allow you to select and manage your own team on their website, and you will be awarded with points or prize money according to the selected players’ performance in the actual cricket game. One of the most popular Cricket website also has the Fantasy Cricket feature. Select a match, build your own virtual team and score points based on real matches. It’s similar to the general fantasy cricket but they do provide cash prizes. They are one of the most popular fantasy cricket website at this moment. Yet another fantasy cricket which has been established recently. They allow cash prizes but you have to pay some amount to play paid contest. If you have more suggestions for such Fantasy Cricket Games then kindly post in the comments section below.